While more and more women are opting to wear sarees on a daily basis, it can get a bit boring to style a saree in the same old traditional way. If you thought only tops and skirts could be mix and matched, you are wrong! The traditional way of wearing a saree is undoubtedly the most elegant and suits almost every body type, but for those of you who are willing to experiment a bit and take your saree-styling game up a notch, these ideas will be really helpful. A saree is nothing but six yards (or sometimes nine) of fabric. Which means it can be tucked, pleated, folded and pinned in a million ways. All you need is a little bit of creativity, patience and lots of pins! You can turn a saree into a dress or a gown for a unique look. 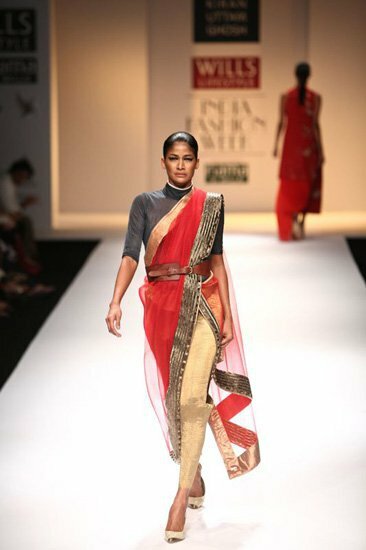 This has got to be one of the most chic ways of styling a saree. It’s contemporary, fashionable and totally fierce. Throw your hair into a bun or a ponytail, and you are ready to take on the world in this fierce look. If walking around in a saree is a somewhat painful task for you, try a dhoti style for a day and see how it makes a world of a difference. There are quite a few tutorials that teach you how to tie a saree this way. It’s very comfortable specially when you have a lot of running around to do. And this trend is not going away anytime soon! 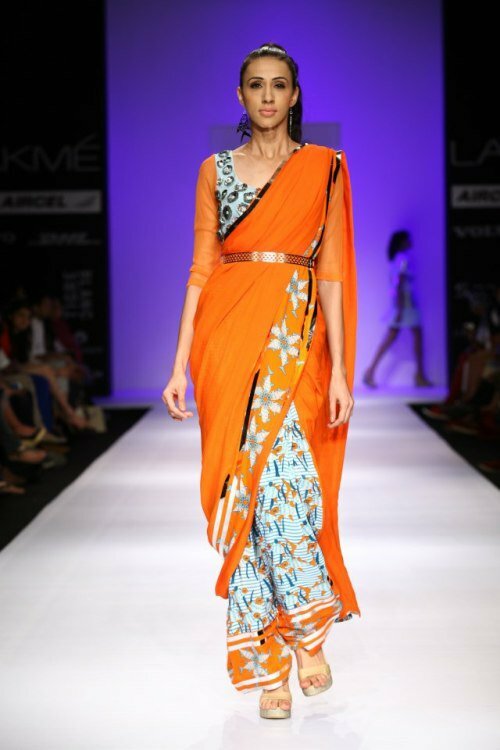 Mixing something as elegant as a saree with trousers is a perfect example of power dressing. 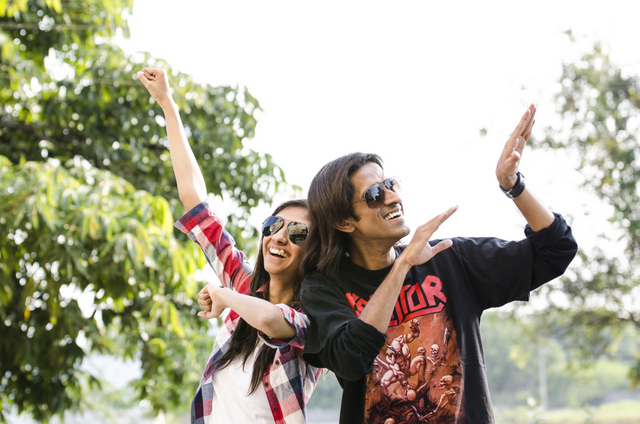 Western and Indian – a fusion that will make you stand out in a crowd for sure. So which is your favourite way of styling a saree?